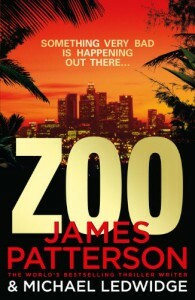 I am fairly new to James Patterson, and I actually picked this book up for my 2013 ABC challenge (Z for Zoo!). I thought that the premise for this book was a very interesting, if not overdone idea, and I did enjoy some of it, for example the lion scenes, and some of the science (although I couldn't tell if, at any given moment it was real science or fictionalized). But for the most part this book felt like someone woke up at 4 in the afternoon and said 'Crap, my fiction class's final story is due tomorrow! I'll write about... animals going crazy and attacking humans because of pheromones, yea, that'll be great! I need some coffee but I think I can knock this out tonight!" It just felt like it could have been really good, and really interesting, but it just got phoned in. Which I guess makes sense because Patterson seems to just be throwing books at the public without worrying about if they are actually good. I did not like the main character, nor did I like his love interest. They just were not very likable. 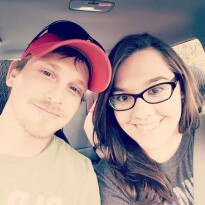 To be honest it didn't even feel like they liked each other. It seemed like the chemistry between the two of them was more like, we have a job to do, you don't hate me, I don't hate you, the job is to be in a relationship. There was no affection. I felt like I wasn't given the opportunity to become attached to anyone either. There were arbitrary gaps in the story without explanation. To be honest if this book was a sentence, it would be one really long, boring sentence, without pause, or punctuation. There were many opportunities to have a much needed lull in the action. Without them, the excitement was just not exciting. This could have been a good book, and should have, but it just really fell short of all expectations. I have a lot of books on my to read list and the time spend reading this book could easily have been spend on one I would have liked.